Tool Craze Facebook follower Joshua B. wrote in about new Ridgid 18V 6.0 and 9.0 ah batteries. 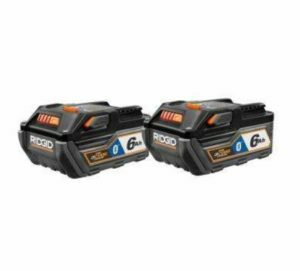 Here at Tool Craze we already knew of Ridgid’s 6.0 battery in the form of their AEG branded counterparts sold outside of the USA. 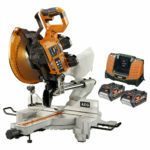 Both the AEG branded 18V brushless 10″ miter saw and 18V brushless 5″ angle grinder were bundled with the newer 6.0 batteries, so it was only a matter of time before they made their way here to the USA as Ridgid branded 6.0 batteries. Both the new Ridgid 6.0 and 9.0 battery are called “Hyper Octane”, feature larger capacity for longer runtime, and both feature bluetooth capability for pairing with the Ridgid app. How it works is unknown yet, but we’ll find out soon. I would assume they work similarly to Dewalt’s implementation of their Bluetooth batteries. The new Ridgid 18V 6.0 battery was spotted on the Home Depot website before quickly being taken down, but luckily Joshua was able to snap a picture before the page was taken down. 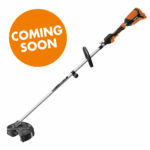 I’ve heard reports of a new Ridgid 9.0 battery before but that’s it, no details and no pictures. 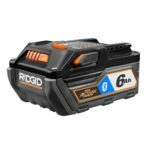 This news makes Ridgid the third Manufacturer to create a 9 amp hour battery after Milwaukee and Dewalt. Strangely enough about the new 9.0 bluetooth battery is that it was spotted for sale on Ebay. I find this strange because it hasn’t even been officially anounced by Ridgid themselves. 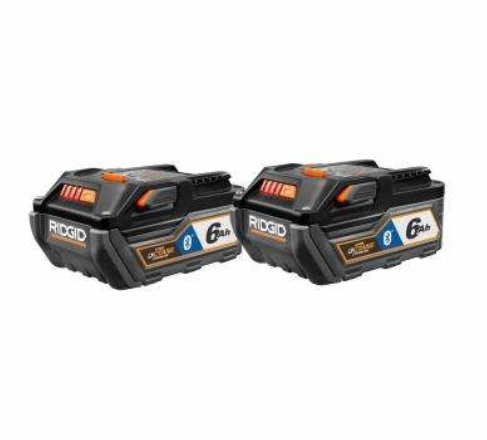 We know the new Ridgid 5.0 battery uses the newer better 20700 lithium cells but because little is known about the new 6.0 and 9.0 batteries, we do not yet know if the new batteries use the better 20700 cells or not. Hopefully they do as this would provide users better performing batteries compared to the current 18650 lithium cells. The Ridgid 6.0 batteries have the same form factor of current 4.0 and 5.0 batteries which means they are running 10 battery cells inside, and the new Ridgid 9.0 battery is taller than the 6.0 which means it’s packing 3 rows of cells for a total of 15 cells just like Dewalt’s Flexvolt batteries and Milwaukee’s 18V high demand 9.0 battery. 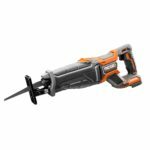 can you buy Ridgid 6.0 and 9.0 bluetooth batteries? As for the 9.0 ah, those are not available for sale yet here in the USA.